Popular movie and TV show streaming website Netflix had launched in India about 6 months back with much hullabaloo. Initial adoption had been great, but questions have been raised since then about how well the company had adapted to the Indian market. But while Netflix’s library currently doesn’t look very Indian, their social media team seems to have the Indian thing down pat. When a user tweeted to the Netflix India using some rather unparliamentary Hindi slang, Netflix didn’t reply with a stock “Kindly DM us your contact details. We’ll look into it.” It fought fire with fire, and came up with this epic takedown. @Fivepm bhai thand rakh, head over to https://t.co/WOfdX7kNvy to resolve any issues! “Bhai thand rakh” loosely translates to “Chill, bro.” Unsurprisingly, the response has been noticed, and been retweeted over a 100 times. 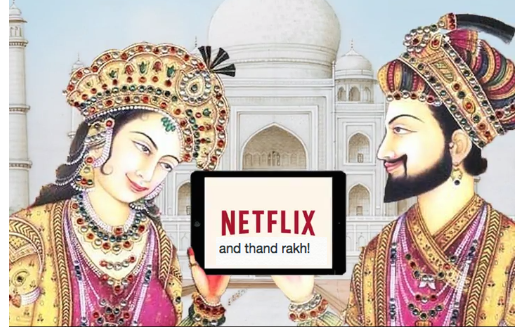 Looks like “Netflix and thand rakh” might just be India’s answer to Netflix and chill.